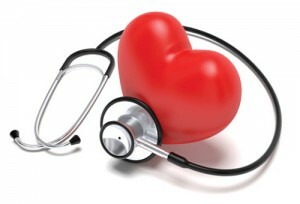 Heart Disease is an umbrella category that encompasses several conditions affecting the heart. Conditions categorized under heart disease include coronary heart disease, heart attack, congestive heart failure, congenital heart disease, arrhythmia, heart defects, and other life threatening conditions. Heart disease customarily refers to any and all conditions involving the blood vessels, running to and from the heart, being narrowed or blocked and stressed. These critical incidents almost always lead to chest pains, strokes, or even heart attacks. The great news is that all of these debilitating diseases can be prevented or even reversed with healthy lifestyle choices, nutritious decisions, willingness to demand your own best health, and behavior modification. The number one killer in the United States is heart disease!! Heart Disease, besides causing further undue stress, is also a major cause of disability in adults who have suffered a heart attack or stroke. General rules to follow in order to prevent heart disease include exercise, healthy living, cholesterol management, and blood pressure management. However, if you have been diagnosed, there is still hope!! According to a published article in the Archives of Internal Medicine, a Cognitive Behavioral Therapy (CBT) program decreases the risk of recurrent heart attacks and other cardiovascular incidents in patients with heart disease. Individuals with heart disease generally suffer from one of two categories: Chronic Stressors such as low socioeconomic status, little to no social support, distress at home or in a relationship, distress at work, etc. ; and emotional elements to include depression of all stages, hostility towards others, anger targeted at the world, or anxiety just to name a few. Cognitive Behavioral Therapy can help deal with Heart Disease and at times, reverse the disease. By learning techniques that assist in coping with stress, individuals already diagnosed with heart disease can successfully prevent future instances of heart attacks or strokes. Cognitive Behavioral Therapy will help you manage your health in a more positive way simply by changing the way you think and behave. Cognitive Behavioral Therapy deals with current issues in your life and focuses on practical ways to improve your state of mind. Experts help you make sense of overwhelming dilemmas in your life by breaking things down for you and helping you understand how to positively cope. Cognitive Behavioral Therapy takes into account your thoughts, emotions, actions, self, etc., and aims to transform all negative cycles of emotion and self worth, into positivity. You can and will feel good about YOU! Encourage yourself to take an active role in your health and wellness. Proactively set goals for yourself and aim for improved health. Don’t let a diagnosis deter you from living the life you deserve to live. Wouldn’t it be WONDERFUL to be able to say, “I was diagnosed with heart disease at one point… I overcame it, changed the way I think, behave, and act and now, I live without it.” Change your behavior to change your life… Think Smart! !